Last week, Los Angeles was plagued with a serious heat wave. After suffering through the third night of an air-conditionless apartment that never cooled below 80 at night, Andy decided that it was the perfect reason to escape. 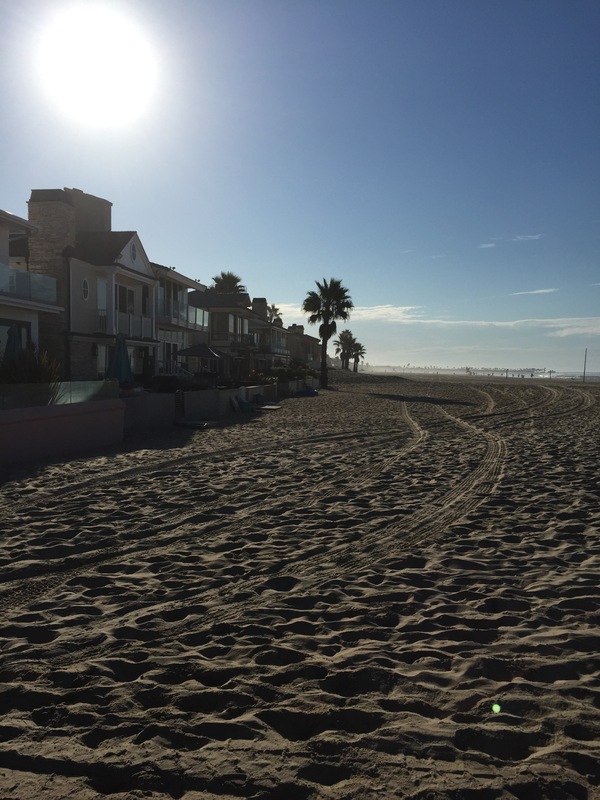 So, we headed to Newport Beach on a search for an affordable hotel for an impromptu mini-break. I know that sounds like an expensive solution, but we got pretty lucky. Mid-week beach motels along PCH are actually pretty reasonable, and despite the pricey real estate, Newport Beach offers visitors a wide variety of food options that fit into most budgets. Plus, it kept us from killing other people and each other, so it was well worth the money (I’m kidding, of course. That probably would not have happened. Probably). 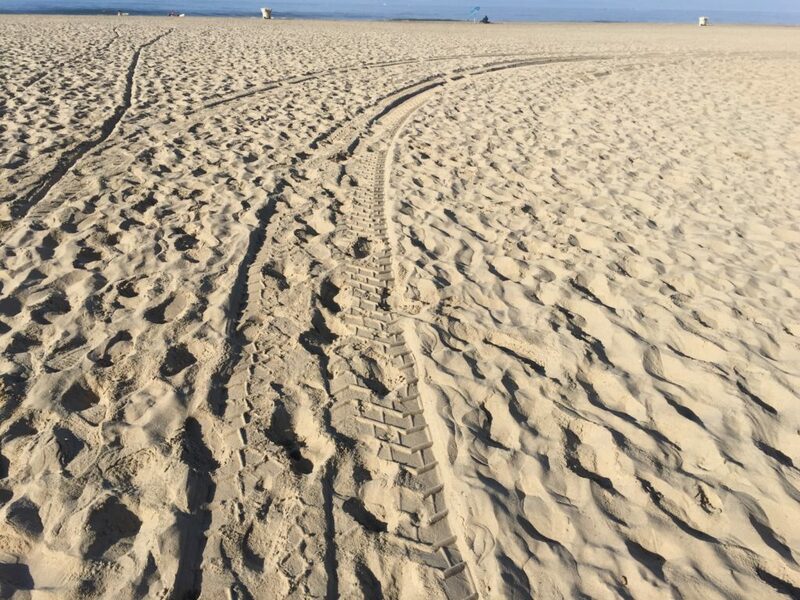 So, if you are trying to think of ways to escape to Newport Beach, but don’t have a lot to spend, I have a couple of newly tested budget-friendly suggestions. We had a standard double queen bed room. It wasn’t anything fancy, but it was very clean (a must for me), had a refrigerator, microwave and coffee maker in the room and (best of all) had working air conditioning. The beds were comfortable, the room was spacious and it had a great work space. As a bonus, it’s about 2-3 blocks from the ocean. If you plan on taking advantage of the waves, the hotel offers free beach towels to travelers. 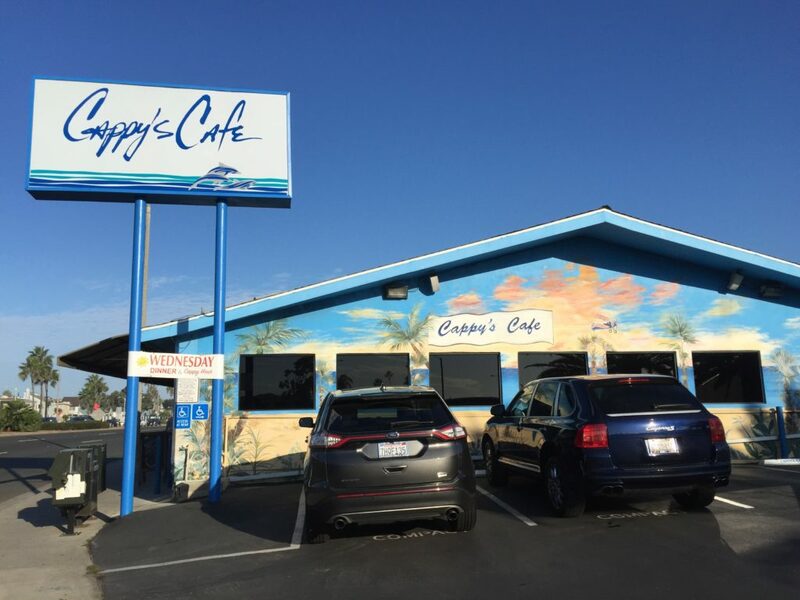 It’s also very close to restaurants, both in the neighborhood, and on the Balboa Island/Peninsula area. The total cost, with fees, was around $125. 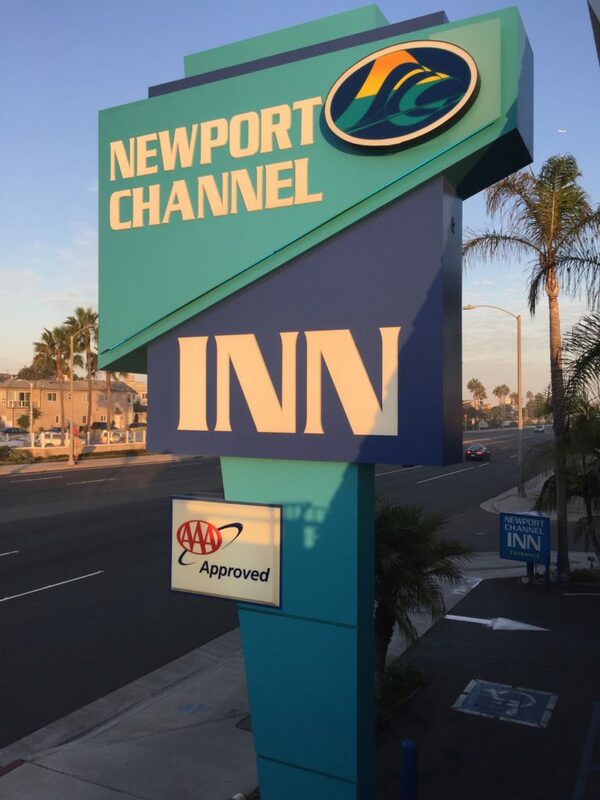 You can see Cappy’s Cafe from the top level of the Newport Channel Inn – it is that close. We just walked over to it in the morning from the hotel. It opens at 6:00am, and provides tasty and plentiful meals at great prices (with the exception of Wednesday nights, it is not open for dinner). 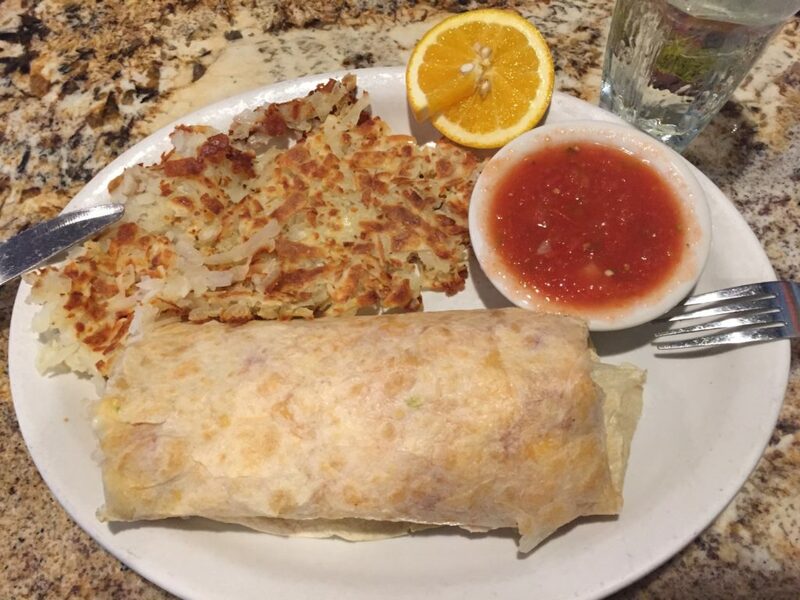 Seriously, I ordered a type of breakfast burrito that was really light (not greasy at all), and it probably could have fed at least two people. Andy got the corned beef hash, and he loved it. Cruisers is a sports bar. But it’s not just any sporty spot, it’s a “go to” spot to watch football during the season. And since it was the first Thursday night football game (and first game of the new season period), it seemed like a great place to enjoy the Steelers and Patriots while grabbing some pizza. The place was very popular, which is not surprising. Loads of televisions all around the room means they are bound to have a game on you care about, and the prices are low. I think our total bill was less than $25. As a bonus, Cruisers is quite close to the Balboa Pier. We took advantage of their location by walking off the pizza with a moonlit stroll along the pier. There was a storm far offshore that was already kicking up waves, so they had built up sand barriers to keep the waves from crashing up and into the beach parking area. It was quite the sight to see (but, alas, too dark to photograph with my phone). 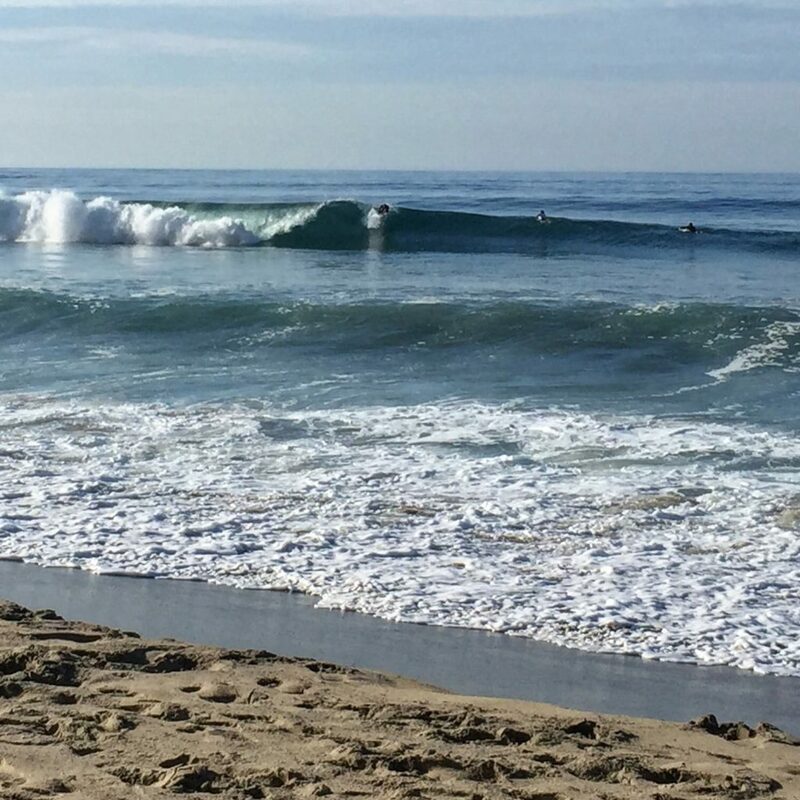 This fall and winter there are a ton of activities that are bound to draw us back down to Newport Beach. For instance, the annual Newport Beach Wine & Food Festival is held the first weekend of October, there’s a sandcastle contest that looks pretty intriguing, and I’m excited about the possibility of finally seeing the annual Christmas Boat Parade. But let’s face it, with this kind of view, there’s always a good reason to escape to Newport Beach, California.